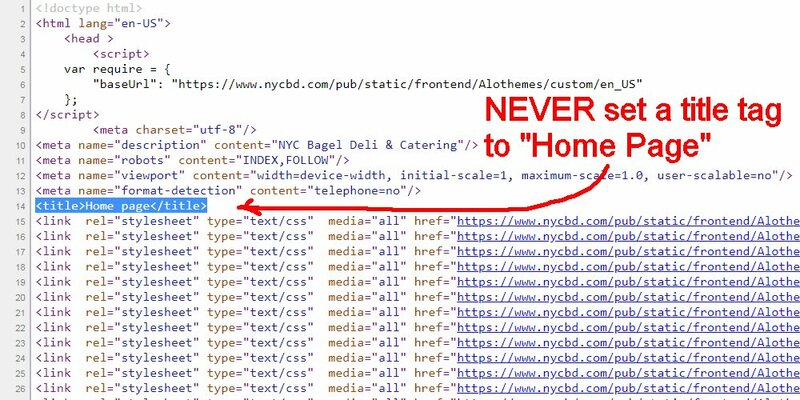 I’m afraid whoever manages the NYC Bagel Deli website does not understand even basic SEO, for example the Home Page title tag is “Home Page”! 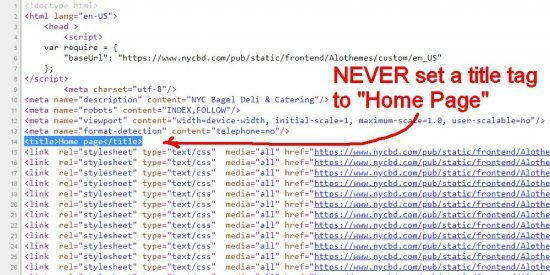 No branding (NYC Bagel Deli isn’t used), no information about what the business offers like Catering in Chicago, just “Home Page”. NOT setting a home page title tag to Home Page (or Home or anything generic) is SEO 101, this is so basic it indicates the developer knows practically nothing about SEO. Looking back to what was on the website prior to March 2018 I’d bet good money Google organic traffic has gone down since the web redesign. The old site had a Home Page title tag of “Chicago Catering | Chicago Breakfast Delivery”, not ideal, but a million times better than “Home Page”! Almost anything relevant is better than Home Page SEO wise!